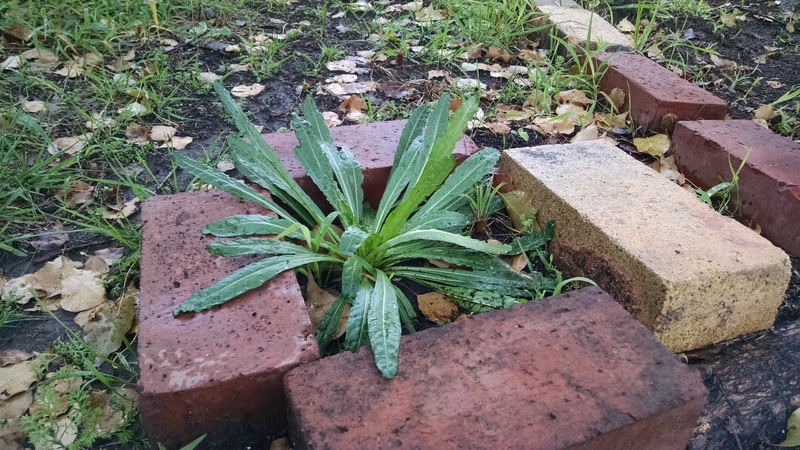 This Weld plant popped up nearby so I put the bricks around it – my universal marker for this-is-not-really-a-weed-dont-pull-or-stomp-on. With any luck this one will have the tenacity to survive the current drought conditions. 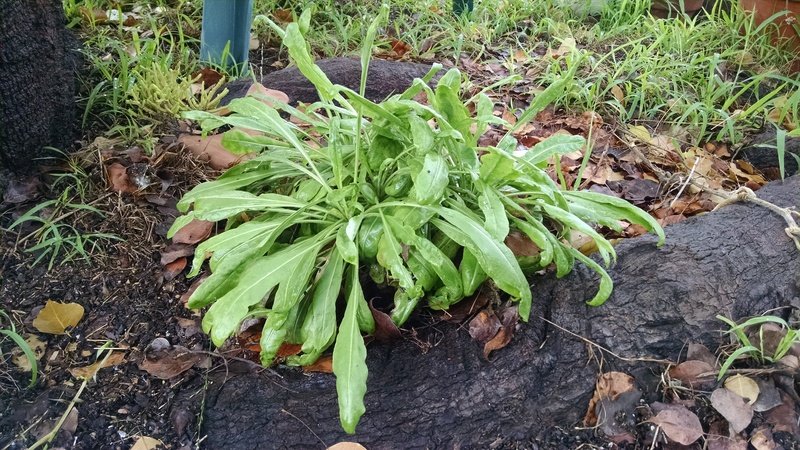 This is the surviving Woad plant from last year.